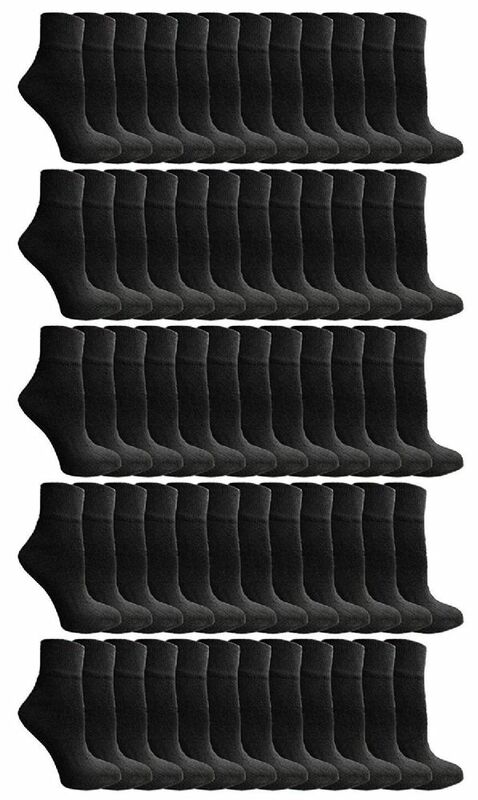 SOCKSNBULK Mens Bulk Pack Ankle Socks Size 10-13 (Shoe Size 7-12), Black at low wholesale prices. 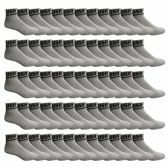 Socksinbulk.com offers Mens Ankle Sock at bulk discounted prices. Yacht & Smith by SOCKSNBULK: Purchase wholesale bulk ankle socks in various case packs. Lot sizes range from just 12 pair to 240 pairs. With everyday basic colors white, gray, black. Bulk purchasing is great for organization buying, donations or even a large house hold. Our bulk lots come in sizes ranging from young adults. ANKLE SOCKS FOR ALL AGES: Sport ankle socks are great for various activities and even casual wear. Whether your playing racquetball at the gym, running the race track, basketball yoga, These ankle socks are great for all sports and even casual wear. Picture nice cotton chinos with cotton socks to go. Our available sizes cover all age groups, and one stop shop for basic every sock needs. COTTON SOCKS: Here is what’s in side 80% Cotton 15% Polyester 5% Spandex. Cotton socks are made from a cotton plant’s seed pod so they are made of natural fibers. This allows socks to have breath-ability that prevents your feet from sweating or causing unwanted odors. Additionally cotton socks will dry 10 times faster than synthetic socks. Wear them and clean easily! SOCKSNBULK branded socks are also known to be soft with a seamless toe feature. SIZING DETAILS: Sock size 10-13 will fit men’s shoe sizes 8-12. Sock size 9-11 will fit women’s shoe sizes 6-10.5 . Sock size 9-11 will fit women’s shoe sizes 6-10.5 . Sock size 10-13 will fit men’s shoe sizes 8-12. Sock size 13-16 PLUS SIZE will fit mens shoe size 12-14. 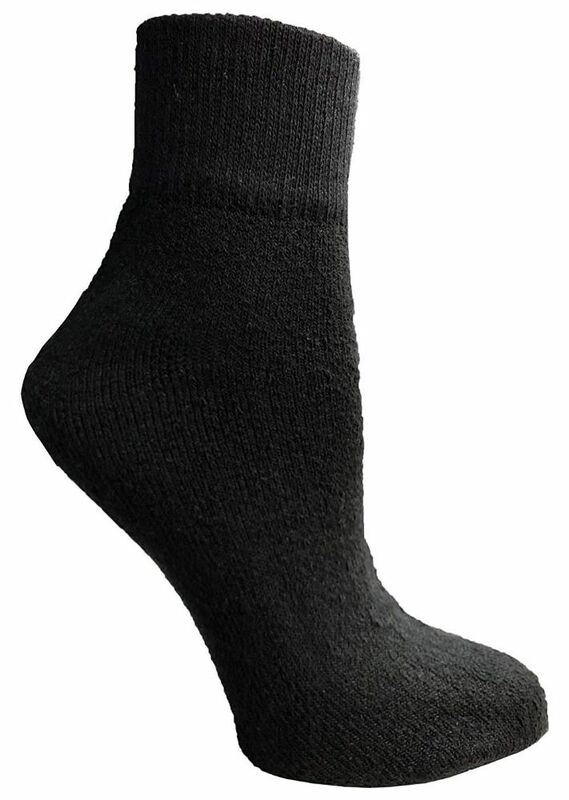 SOCKSNBULK branded ankle socks are known to be a great product geared for basic every day casual wear. 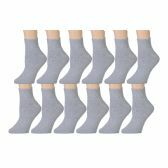 Our selection of ankle socks are sized ranged for adults. Purchase wholesale socks in bulk for various reasons. Large house hold ? charity ? Organization give away ? shopping for wholesale socks will ensure your purchase was the most economical choice without jeopardizing quality.